The transition from a “brown economy” to a green one entails a complete rethink of the economic model to one that generates growth and prosperity without exhausting the natural systems that sustain us. As with every challenge, the key to achieving sustainable growth is to unlock and seize the opportunities that open up during transition. The implementation of mitigation measures and solid investments in the energy sector are crucial in moving towards a greener economy. In Romania, the decoupling of economic growth and energy consumption, started in the 1990s, is advancing, along with the development of less energy intensive-sectors and a decline in heavy industries. Still, Romania’s energy intensity remains one of the highest in the EU, releasing 58 percent of the country’s GHG emissions. At present, a World Bank study shows, 46 percent of primary energy and 40 percent of electricity is generated by coal and oil. Moreover, future growth is expected to trigger an increase in energy demand, pushing GHG emissions up. Renewable’s share in primary energy, up from under 1.8 percent in 1990 to 13 percent in 2012, continues to grow. However, wind power players warn, due to lack of support for investors, their industry’s net loss grew last year by RON 1.9 billion. 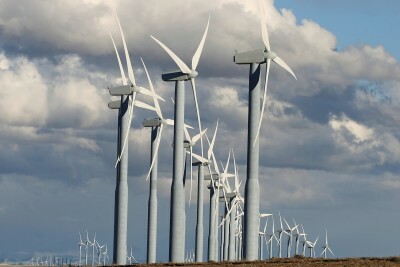 Total losses in 2014 and 2015 amounted to RON 4 billion, said the Romanian Wind Energy Association (RWEA). Romania’s forests can play a major role in climate change mitigation. The country still has Europe’s largest remaining tract of virgin and naturally-regenerated forests, which sequester carbon and can help counter the effect of GHG emissions. According to the WB study, the land use, land use change and forestry sector removed each year around 27 percent of emissions produced by other sectors between 2000 and 2011. However, deforestation has reduced Romania’s forest cover to 29 percent, compared to the EU average of 40 percent, a 2014 study found. Climate change is already causing drying, an increase in biological risks and slowing forest growth. According to WB estimates, the costs of afforestation and sustainable management of protection and production forests over 2015-2050 stands at EUR 115 million (0.002 percent of GDP). Considering all the benefits, the total discounted net cost stands at a negative EUR 86 million. Standing at 2,000 cubic meters per capita per year, water availability in Romania is currently less than half the European average of 4,500 m3. However, demand for water is increasing, in the agriculture, industry and hydropower sectors, but less when it comes to household consumption. Due to its vulnerability to climate change, water management programs are necessary to ensure the sector’s ability to meet demand. Unless adaptation measures are implemented in the water sector, the WB says, agriculture will be seriously affected by climate change, with some crops set to record up to 35 percent yield drops. The irrigation sector holds the biggest investment potential, followed by fertilizer application optimization and increasing crop variety. The WB estimates investments costs at between EUR 1.8 billion (0.05 percent of GDP) and EUR 11.0 billion (0.32 percent), with revenues exceeding investment in all scenarios. According to the WB, out of the three sectors above, urban transport represents the second-largest source of GHG emissions in Romania, while buildings account for the biggest share of energy consumption. In particular, heating represents 57 percent of total energy use. Municipal solid waste disposal accounts for around 2 percent of Romania’s overall emission portfolio. Should the region Bucharest-Ilfov meet relevant EU targets on recycling and diversion of biodegradable waste, emissions will fall by 80 percent. Moreover, an implementation of a low-carbon development strategy in the region could cut local GHG emissions by 37 percent by 2050.